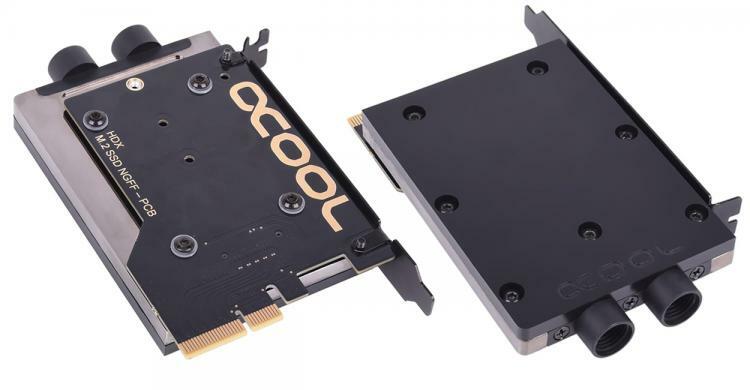 Alphacool expands its M.2 cooling solutions with the new Eisblock HDX-2 and Eisblock HDX-3. M.2 solid state drives are known to produce a significant amount of heat when running heavy loads which can lead to performance throttling. To avoid such issues, additional cooling solutions might be needed and Alphacool just added two. Watch the product videos below regarding the new Alphacool M.2 PCIe adapter and cooling solutions. 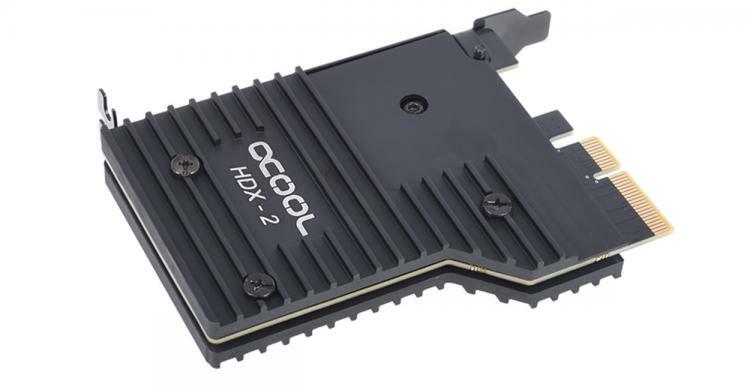 The Eisblock HDX-2 is a PCIe M.2 adapter card with a passive cooling block. The enormous cooling surface offers better cooling for the M.2 drive. The PCIe adapter also ensures performance is kept to the maximum offering a maximum bandwidth of 3900 MB/s. The Eisblock HDX-3 is the ultimate cooling solution for high-performance PCIe NVMe SSDs. It is also a PCIe M.2 adapter with a maximum bandwidth of 3900 MB/s along with a full liquid cooling water block. The Alphacool Eisblock HDX-2 and HDX-3 are now available at the Alphacool webstore and Aquatuning webtores. The Alphacool Eisblock HDX-3 has an MSRP of €79.99, while the Eisblock HDX-2 has an MSRP of €39.95.